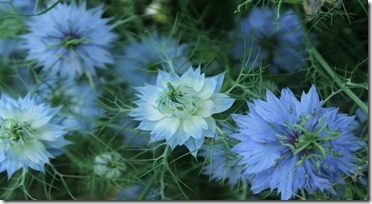 For the past three nights I’ve been dreaming that I was toiling in my garden, pulling the same weeds over and over. I would pluck one, and it would reappear instantly. I awake feeling tired and frustrated, so today I referred to my handy dream guide and learned that this means I have not been tending my physical or psychological environment. Boy, howdy. That’s about right. The dining room table hasn’t been completely cleared of the dregs of Easter Dinner, and the vacuum cleaner has been sitting on the back porch for weeks waiting to be cleaned out. We’ve been so busy working on the “Art in the Garden” tours for the Starkville Area Arts Council that we haven’t been able to do much else. It’s 5 a.m. and I’m about to drag myself over to the gym before I can get distracted. You can take a sneak peak at some of the highlights of the tours which take place May 19. 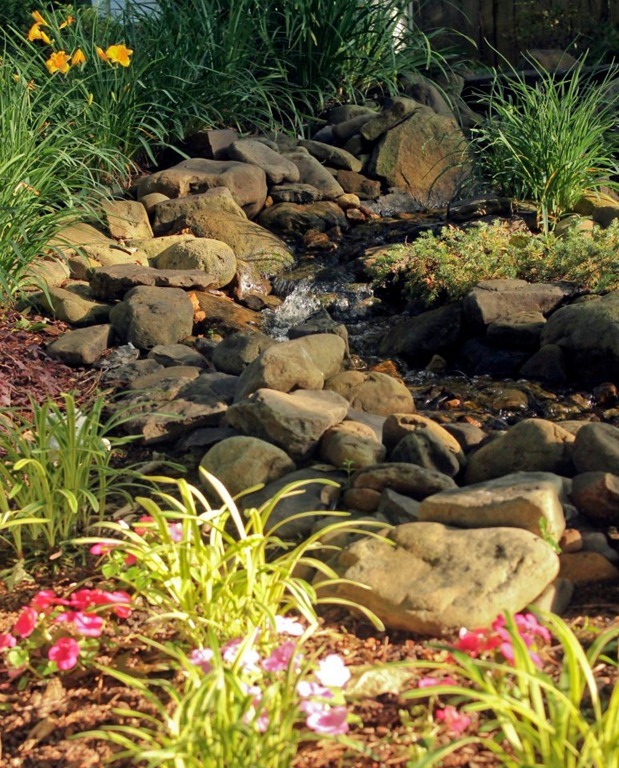 The brook (lead photo) belongs to Guy and Nancy Hargrove at their Timbercove home. 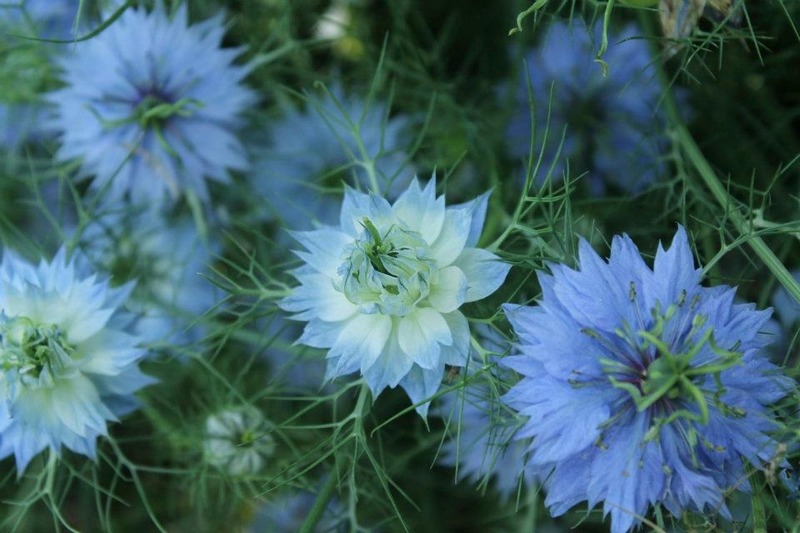 The unusual blooms above are Nigella Damascena, commonly known as Love-in-a-mist. They are in bloom in the garden of Stephanie Doane in the Wild Briar subdivision. 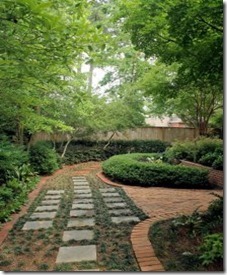 The lovely courtyard at right is a weed-free zone in the garden of P. C. and Barbara McLaurin. 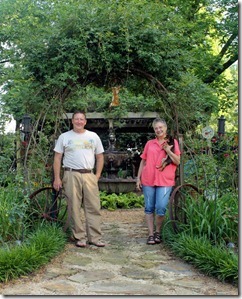 At left, Jimmy and Ginger (my neighbors) who now hate me for getting them involved in this, are hard at work getting their garden ready for the tour. They will thank me later. 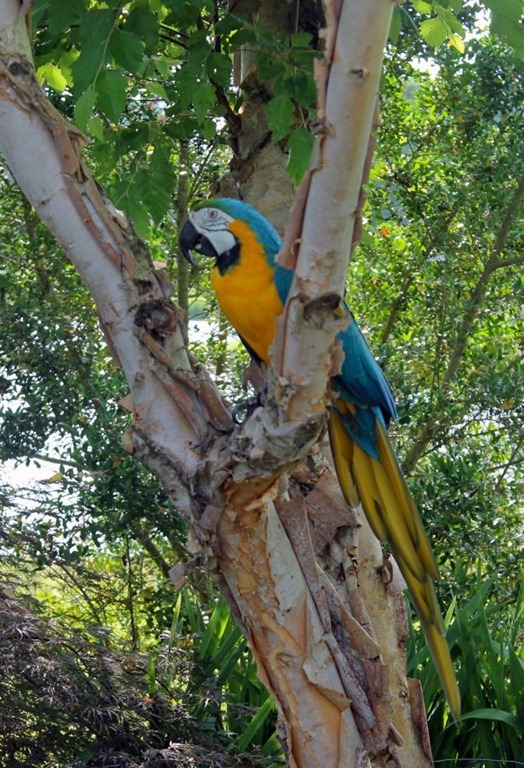 Below Bobby, a blue and gold macaw, holds court in Stephanie’s garden. 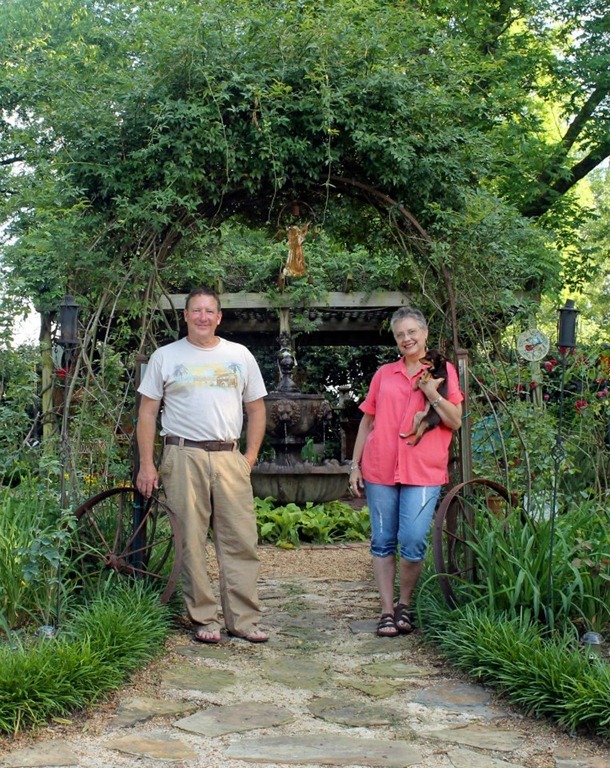 She and husband Gary Bradshaw rescue rare birds which become fixtures in their garden. 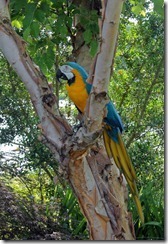 But back to dreaming… I don’t know if any of you are interested in dream interpretation, but they fascinate me. Recently I took a four-week course on dreams. We would all be wise to pay more attention to what our dreams are trying to tell us. This entry was posted in Gardening and tagged Listening to your dreams, Meaning of garden dreams, Starkville Area Arts Counciil, Starkville Ms Art in the Garden by Emily Jones. Bookmark the permalink. Does physical or psychological environment refer to old friends we should stay in touch with? Guilt trip.